Consumer reviews left at sites such as Google Maps or Yelp are becoming increasingly important and will be even more critical in the future. Social networking makes online customer reviews and word of mouth marketing critical for many small and mid-size businesses. The Internet has become a vital tool for customers to voice their opinions. Businesses who ignore Yelp, Twitter, Facebook, Foursquare, blogs, and review sites are either very busy, myopic or arrogant. Avoiding negative reviews and getting positive ones requires some time, logical thought, and a little strategy. Unsatisfied customers are more likely to tell others about their experience than satisfied ones. Social networkers are greatly influenced by peer reviews. The same tools that will spread the negative reviews can be used in proactive and positive way. People trust reviews. If your business has lots of them, and they’re mostly positive, more people will contact you – and they’ll already be partway sold. Reviews can help your rankings in local search. It’s good to have lots of reviews and it’s good to have them on lots of sites; it’s probably even better if they’re positive reviews. These are all factors that appear to influence Google’s ranking of your company in the local results. Reviews are a great opportunity to promote your business and to increase the number of links to your site — free. Finding others to sing your praises may require some time and research, but a good review can be invaluable for your business reputation. Submitting your web site to local listing sites like Yahoo! Local and other directories may naturally drive reviews as your customers write about their experiences with your business. What can your business or organization do? Make it as easy as possible for customers to communicate with you and review you – Is your Yelp information correct. Do you have a presence on Twitter, Facebook, Foursquare? Is your Google Place Page, Yahoo Local listings claimed? 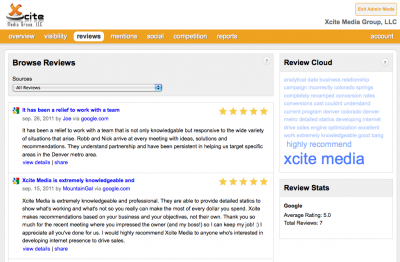 Do you send follow up email with a link to your review pages? Let customers know that you value their opinion and that you welcome feedback so you can improve your business. Do you make it convenient via your marketing materials and websites to find your business links to LinkedIn, Twitter, etc.? Just how good are you? – Being OK isn’t enough. 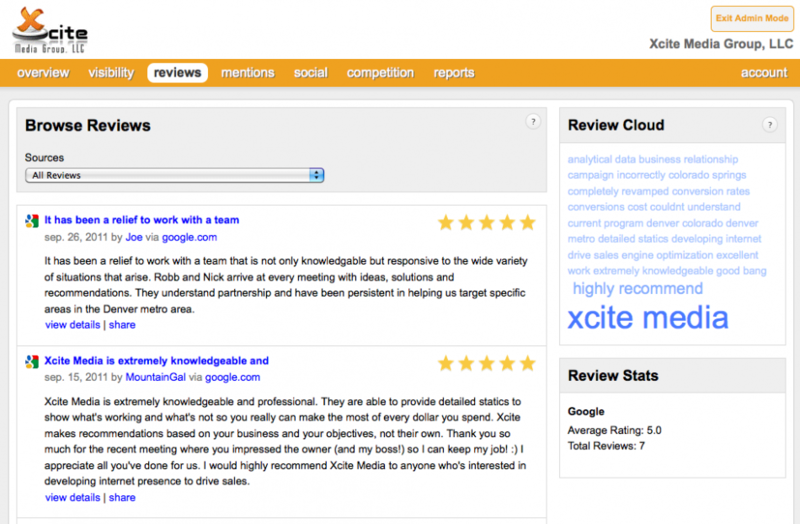 If you want to get more positive customer reviews, you need something exceptional. What are you Tweeting about? What’s new or unique about your business? What is featured in your latest blog or Facebook post? Almost every business has exceptional features or qualities. What makes you a competitor, the leader in your field, the underdog, or new guy on the street? Your most satisfied customers know. Engage them and they will tell you. Take all reviews seriously (and some with a grain of salt) – Some customers don’t provide feedback because they assume it just gets ignored. Customers who do give feedback need to know you are listening. That is exactly why you need to show you take the reviews seriously. Responding respectfully and thoughtfully to negative reviews shows that your business cares and is not afraid to engage criticism. Taking the time to communicate and respond to the issues shows customers that you value their opinion. This resource is powerful and indelible. The digital world is like the “real” world. There is a chance you will never satisfy everybody. Some people only thrive on the negative; you need to get a quick sense of who they are and politely let them be. Don’t argue – Don’t get too upset. You don’t want to argue with the reviewer. Don’t look defensive and unprofessional. Apologize for the negative experience and find out if there’s anything you can do to fix their opinion. Maybe you can resolve the problem and possibly have the negative review deleted by the user. Leave a trail for reviews but never bribe – Reviews need to be genuine. You cannot ethically offer your customers an incentive for giving you a positive review. No freebies or discounts. This has come back to haunt some businesses. If you bribe for positive reviews, you’ll be in violation of the policies of most review sites and many customers can see through your game. Encourage your best customers to review you, but do not reward. Are you aware of all the places your business is mentioned and reviewed? How are you monitoring your reputation and responding? The Xcite Group is here to help. We have a tool that will not only help you gather all of your business’s online reviews in one place, but also give you the ability to monitor your reviews as they come in, set custom alerts so you know when you get a review and give you the ability to quickly respond to the reviews you receive. The important thing is that we are there for you every step of the way. Helping you to understand what to do and how to do it, as well as consulting you on your overall Internet strategy. Contact us today to see how we can help you.